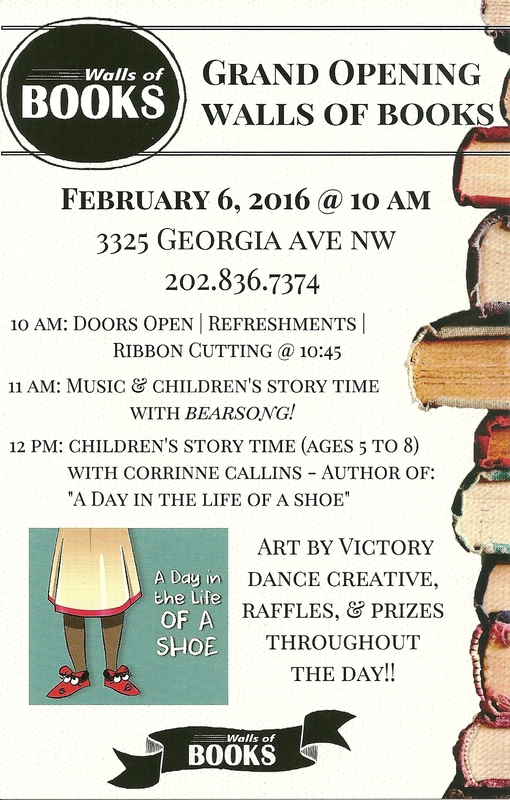 Grand Opening on Saturday for Walls of Books | Park View, D.C. If you haven’t had an opportunity to check out Walls of Books yet, you might want to check it out on Saturday. That’s when they will have their official grand opening and ribbon cutting follow by events geared for children (see schedule of events below). In checking out Walls of Books last weekend, I was impressed with the variety of books in stock and their affordability. I also learned that you can also request a book as a special order if you are looking for a title that isn’t in stock. Definitely a great addition to the neighborhood that I hope neighbors will support. This entry was posted on February 4, 2016 at 7:01 am and is filed under Development. You can subscribe via RSS 2.0 feed to this post's comments. Looks like a great addition to the neighborhood! I hope they’ll reconsider their decision to be closed on Sundays. i continue to be amazed by the businesses that open up on Georgia Ave that are obviously doomed to fail. A bookstore. In an atrocious building that desperately needs to be replaced. On a relatively low traffic street. This neighborhood deserves better. this block is going to be torn down in the future. i am guessing that the property owner offended a low rent for a couple of years to the bookstore so that the property doesnt get the vacant tax rate.